Isigny AOP Butter Basket - Zuercher & Co. 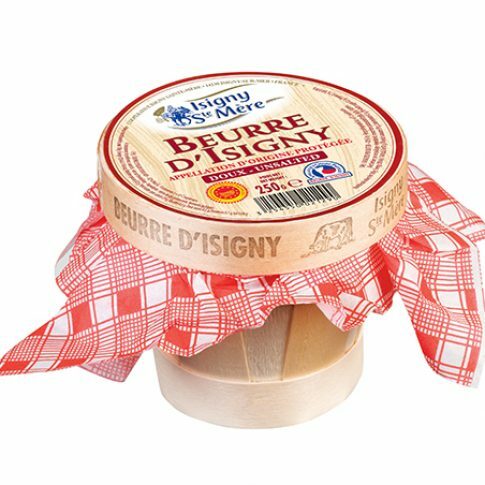 This isn’t you’re ordinary butter, this decadent French Beurre d’Isigny is name protected; meaning there are specifications on how it’s made in order for it to be called Beurre d’Isigny. Milk must come from the designated AOP (Appellation d’Origine Protégèe) zone – which is in Isigny sur Mer, Normandy. Milk collection must take place every 48 hours, the cows must be fed all year round on crops grown within the designated AOP Zone, only traditional butter techniques are allowed, and there are no use of additives and reconstituted cream.